The first is a modern view, loaded off the Geographic Guide web site. I had looked at a number of maps available (via Google) and thought this was best suited for our purposes. Unlike many others, it combines both topography, town sites and roads. It did not use false colour (on many showing elevations, with sea level as green - which is problematic). It did include the locations of the major ice sheets, which along with elevation, is important to understand settlement patterns. 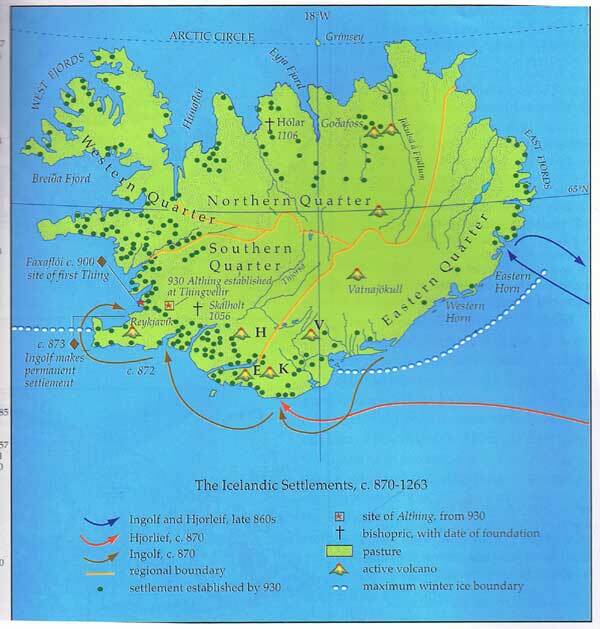 This second map is scanned from Vikings - NAS (Fitzhugh & Ward, pg 165). This is a map of the historic settlement patterns. I chose this one primarily because it shows occupation areas in general during expansion period. The key lists 'by 930' which is as close a reference as we are likely to get for were people are in our target period of 1000 AD. 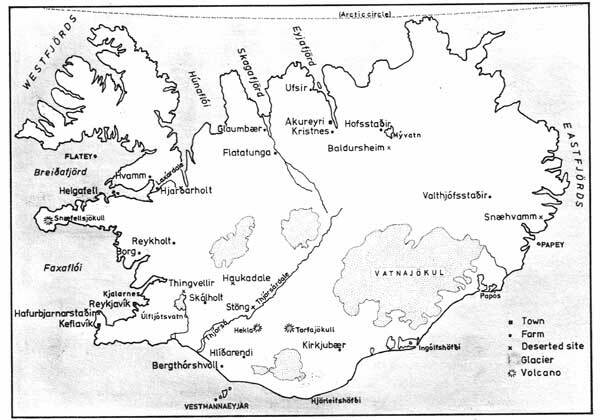 The last image was scanned from 'Viking Expansion Westwards' (Magnusson, pg 86). It is a nice compliment to the map above. It shows the major town and archaeological sites. I suspect this map will prove the most useful when it comes time to start looking at artifact prototypes. Author's Note: This part of a series of shorter descriptions that will add together to paint a picture of the background to DARC's upcoming presentation at L'Anse aux Meadows NHSC in August of 2010. 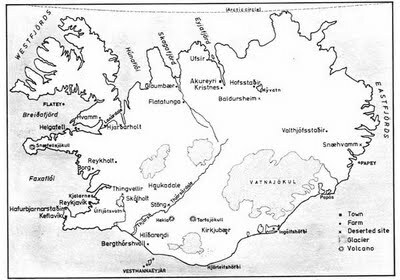 Taken together, these articles will deal with a number of specific interpretive elements, using Vinland in the Viking Age as the concrete example. These are most likely to presented here very much in a random order. Hope is to tie them together into a coherent package to be delivered at Forward Into the Past in late March.